Trump invites the Venezuelan Army to accept the amnesty and face Maduro, a "Cuban puppet"
[email protected]: I ask every member of the Maduro government: End this nightmare of poverty, hunger and death. LET YOUR PEOPLE GO. Set your country free. is the time for all Venezuelan Patriots to act together, as one united people. 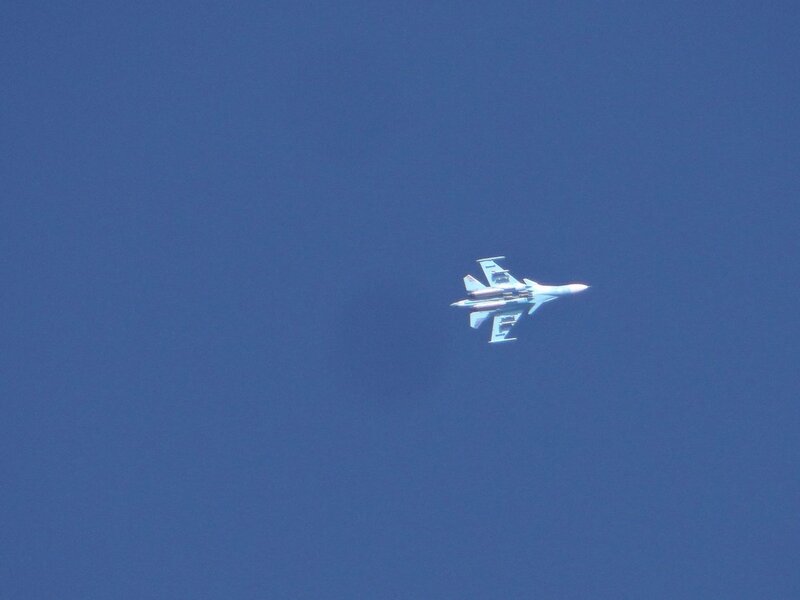 Nothing could be better for the future of Venezuela. 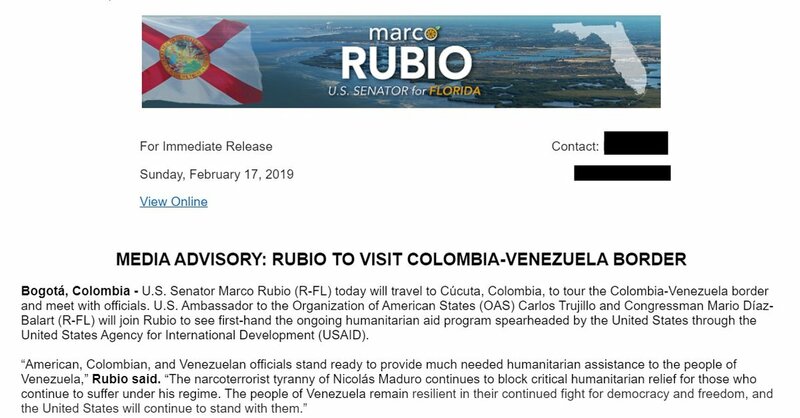 [email protected]: The people of Venezuela are standing for FREEDOM and DEMOCRACY – and the United States of America is standing right by their side. 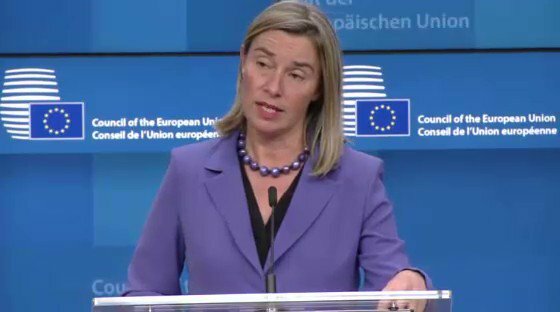 [email protected]: We are here to proclaim that a new day is coming in Latin America. In Venezuela and across the Western Hemisphere, Socialism is DYING - and liberty, prosperity, and democracy are being REBORN. 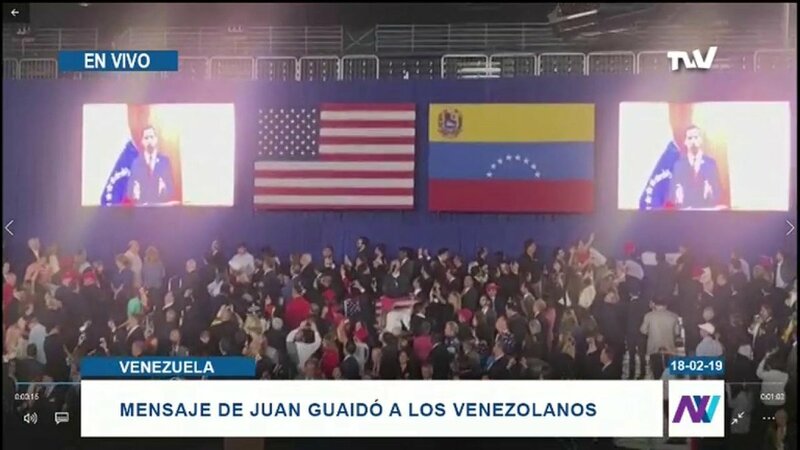 President @realDonaldTrump at rally with Venezuelans: Soon we will see what the people will achieve in Caracas, Managua and Havana. And when Venezuela, Cuba and Nicaragua are free, this will become the first free hemisphere in the history of mankind. 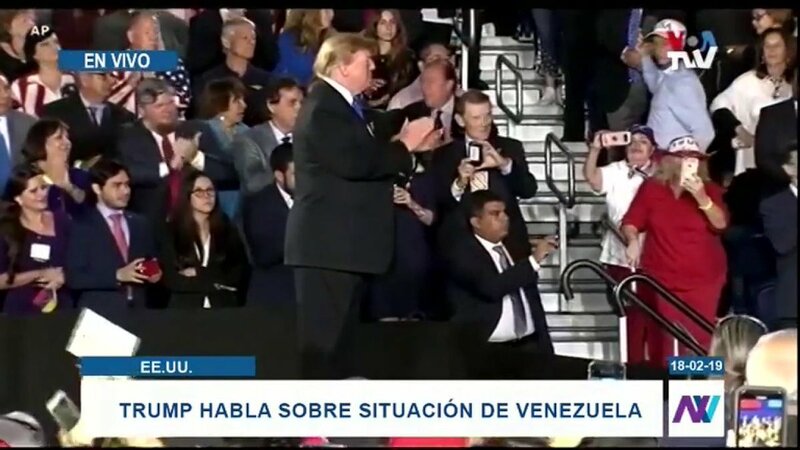 President @realDonaldTrump at rally with Venezuelans in Miami: @dsmolansky was one of the youngest mayors of Venezuela, when Maduro deposed him. David fled to the jungle of Brazil, and today lives in exile. His grandparents fled the USSR, and his parents fled Cuba. President @realDonaldTrump in action with Venezuelans: Socialism wants to control everything, decide who wins and who loses, who lives and who dies. President @realDonaldTrump at rally with Venezuelans: Socialism always leads to tyranny. President @realDonaldTrump in action with Venezuelans: The alliance between the dictatorships of Venezuela and Cuba is coming to an end and a new future is reborn. 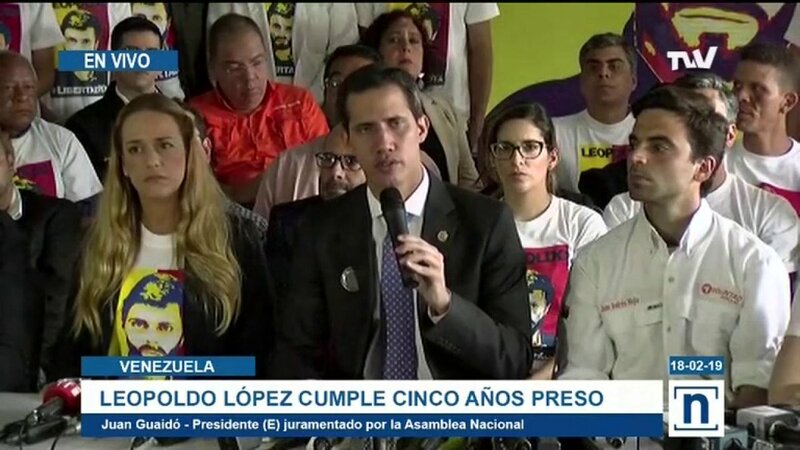 Donald Trump from the FIU: "Some weeks ago the National Assembly of Venezuela proclaimed Guaidó as interim president of Venezuela, and the United States is happy to have been the first country to recognize him"
President @realDonaldTrump in Miami: Maduro is a Cuban puppet, not a Venezuelan patriot. 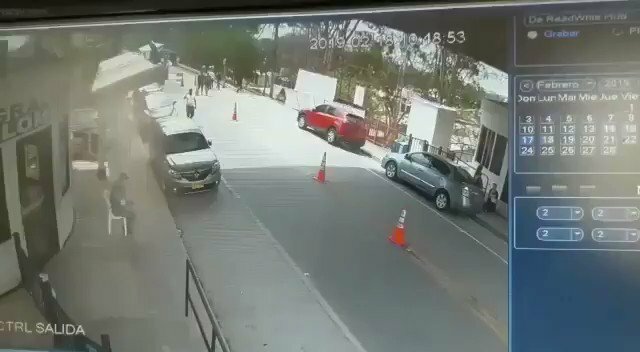 President Donald Trump talks about Venezuela: "The days of socialism are numbered, not only in Venezuela but also in Nicaragua and Cuba"
The president of @realDonaldTrump embraces the mother of Óscar Pérez, a policeman who rebelled against Maduro and was later assassinated by Venezuelan security forces. President @realDonaldTrump in Miami: Óscar Pérez was an incredible man who did not die in vain. 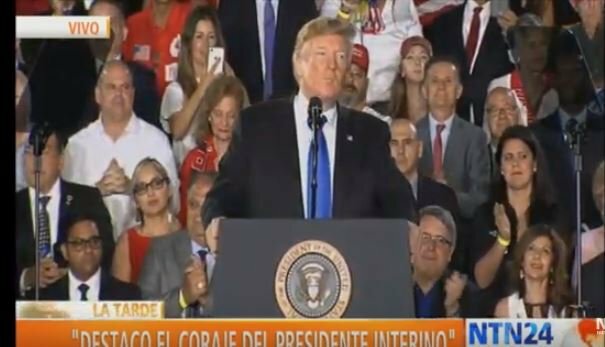 President @realDonaldTrump at rally with Venezuelans in Miami: More than 3 million Venezuelans have fled the brutality of Maduro. 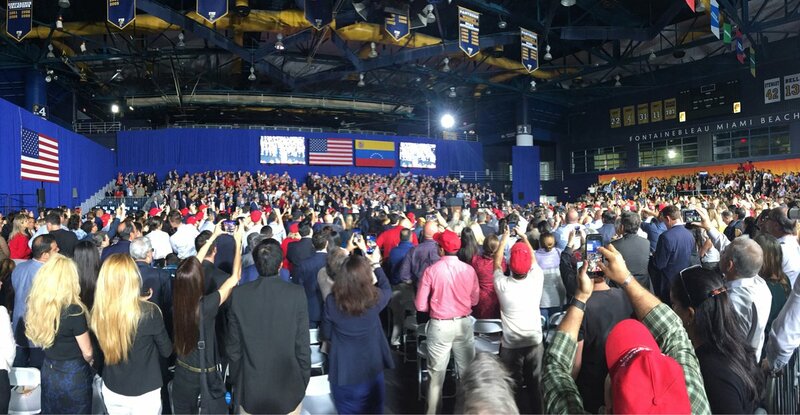 President @realDonaldTrump at rally with Venezuelans in Miami: Years of socialist and tyrannical government brought Venezuela to the brink of bankruptcy. President @realDonaldTrump in action with Venezuelans in Miami: The people of Venezuela are standing for democracy, and the US is at their side. President @realDonaldTrump in action with Venezuelans in Miami: A new day is about to be reborn in Latin America. In Venezuela, socialism is dying, and freedom, prosperity and democracy are being reborn. 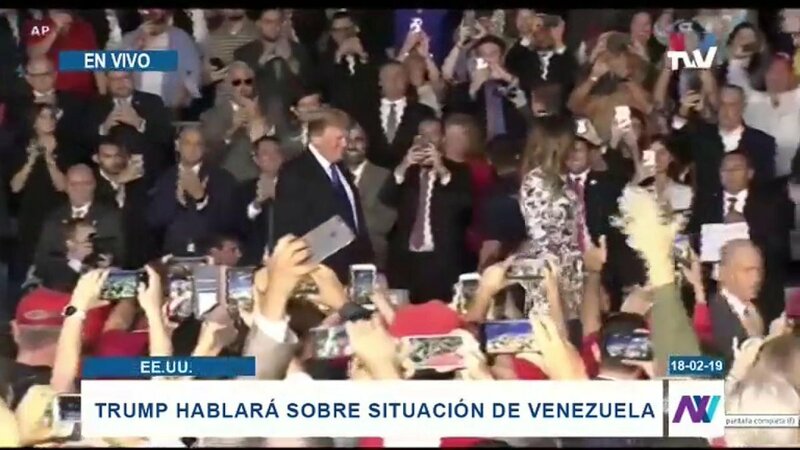 First Lady of the USA @MELANIATRUMP in action with Venezuelans: We are honored to be in front of you to demonstrate our support to the great people of Venezuela. John Bolton:Looking forward to making remarks on Venezuela at the @realdonaldtrump rally in Miami. I will be introducing video remarks by Venezuelan Interim President Juan Guido. 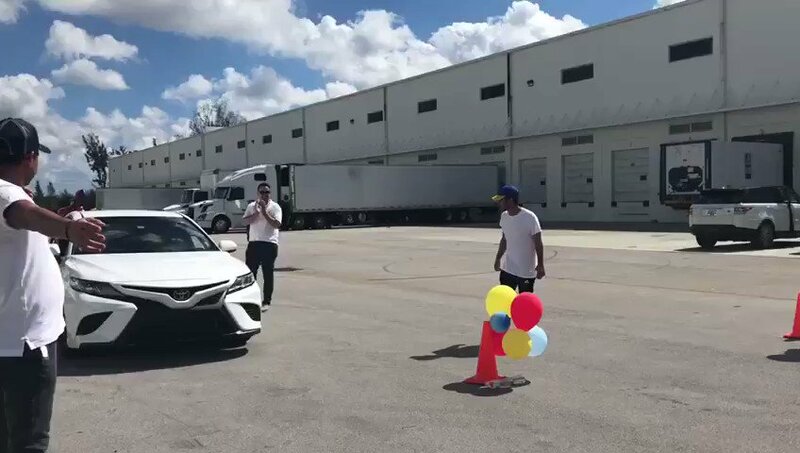 US President Donald Trump arrives with the first American lady, Melania Trump, to the International University of Florida to meet with Venezuelans. 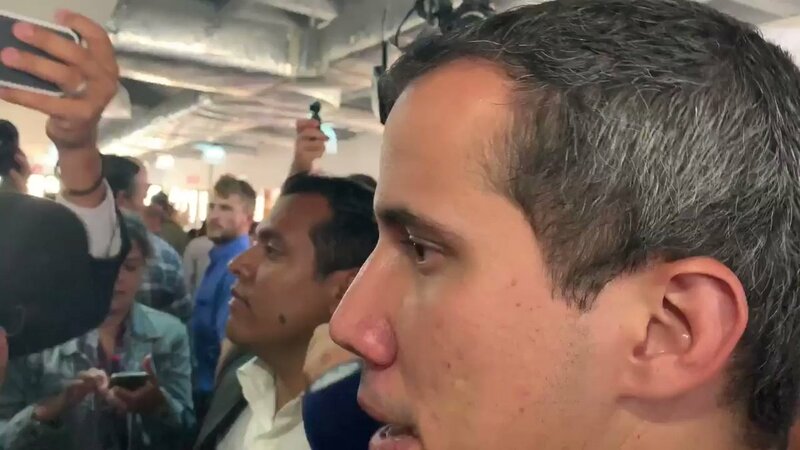 Message from Juan Guaidó at the meeting with Venezuelans at the International University of Florida "is a good moment to unite us". 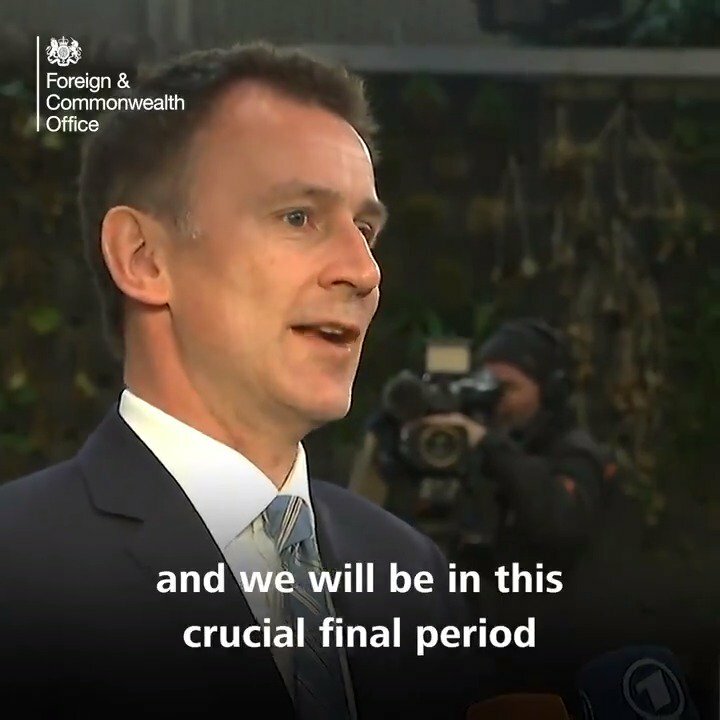 [email protected] on Venezuela: "There is going to be no effort to use military force to deliver the humanitarian assistance." 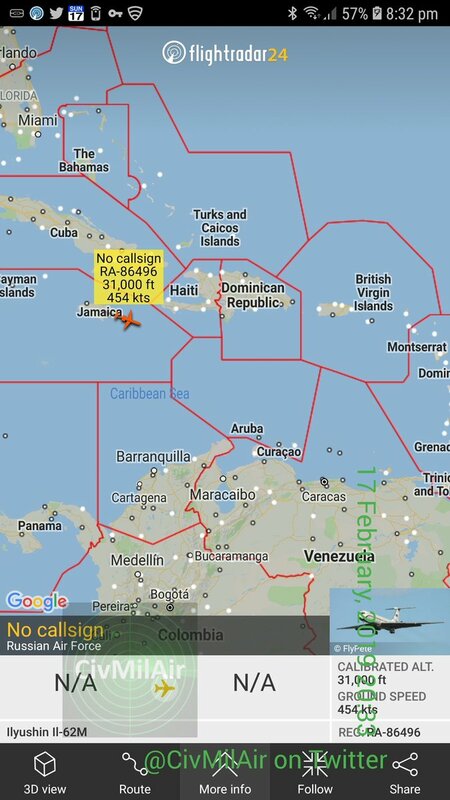 Off the north coast of Colombia at FL300 is USAF KONA50 624130 RC135W RivetJoint Intelligence-gathering platform. President Trump departs Mar-a-Lago in Palm Beach aboard Marine One headed to @FIU in Miami for a speech to address the ongoing crisis in Venezuela. [email protected] describes as a trolling the concert announced by the Maduristas. 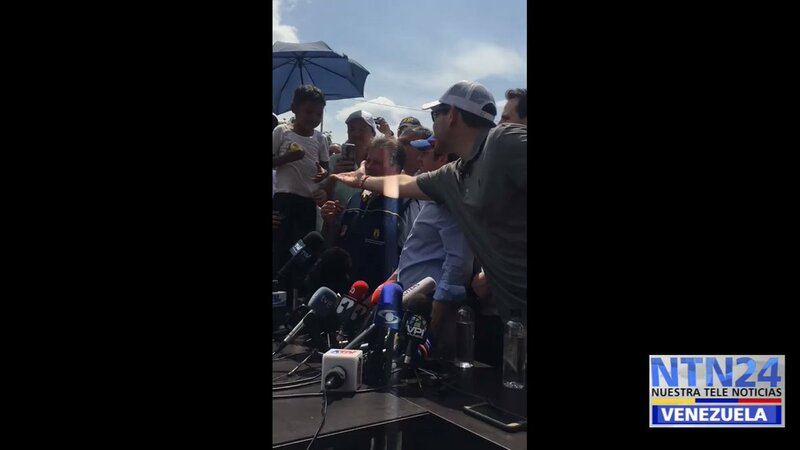 Jorge Rodríguez announces a parallel concert on the same date when announced @jguaido on the Simón Bolivar bridge. 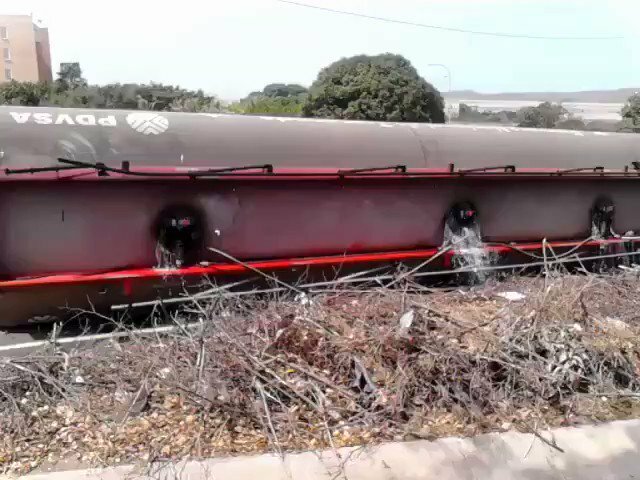 Fuel truck of Pdvsa loaded with gasoline capsized on the Caracas - La Guaira highway at noon on Monday. [email protected]: @leopoldolopez has been unjustly imprisoned for five years. 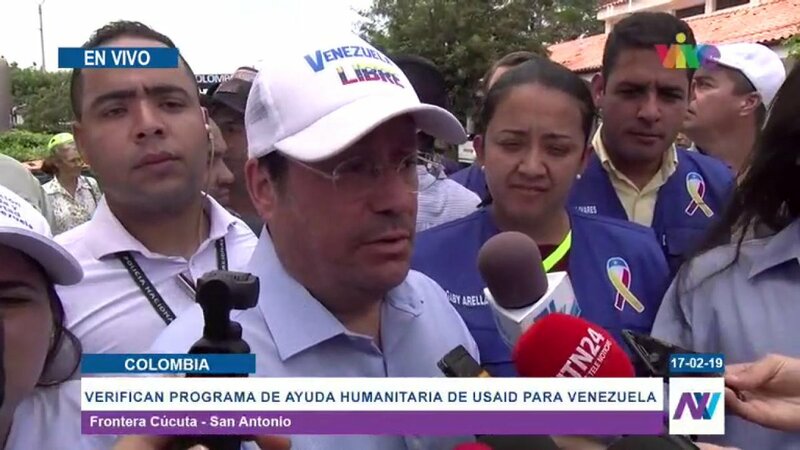 Today they intend to block humanitarian aid to save lives, 300 thousand Venezuelans are on the verge of death, a regime that wants to hide its failure. [email protected]: We have seen the most totalitarian, abusive and repressive face of a regime that does not respect the minimum standards of political coexistence. 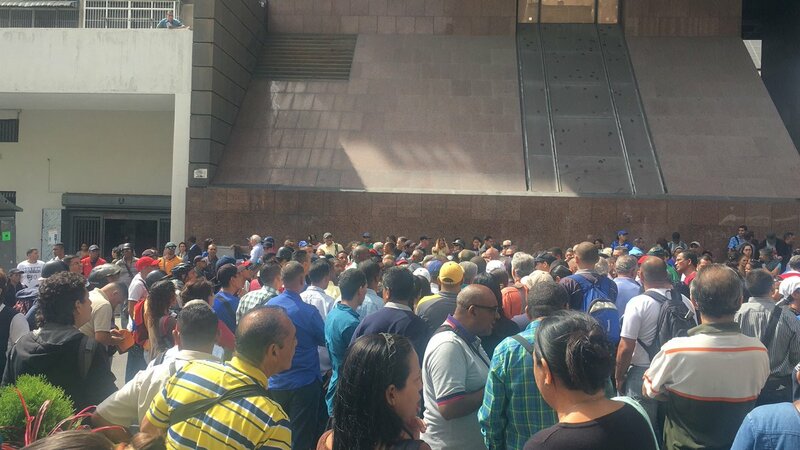 Protest of workers of different universities of the capital at the outskirts of the Ministry of University Education Science and Technology, PNB in the place and irregular groups in the zone, the University Avenue stays locked there is no passage to Capitolio. 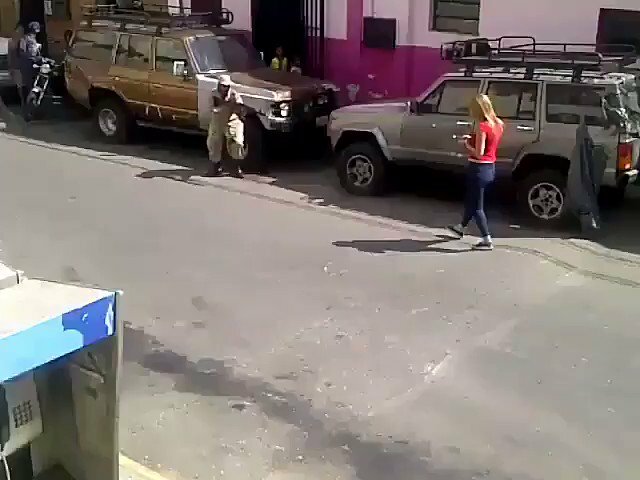 Venezuelan militia training guerilla warfare. Venezuelan PDVSA called fake information about freezing accounts in Gazprombank. 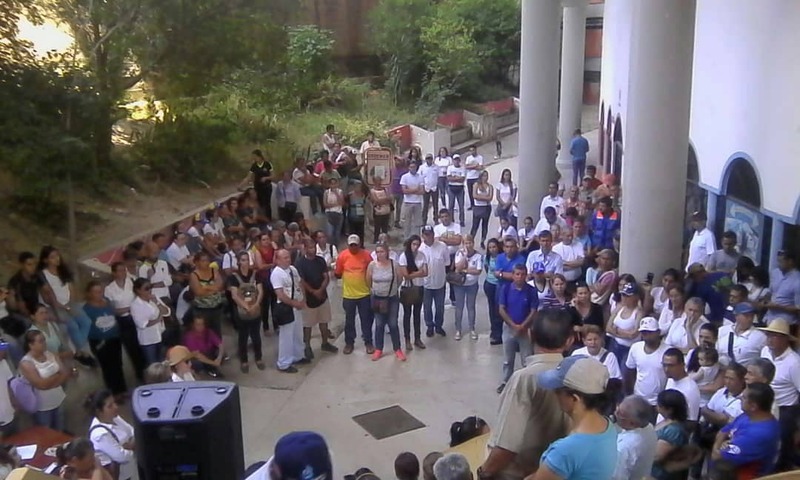 Detained 7 people by the DGCIM in Maracay. 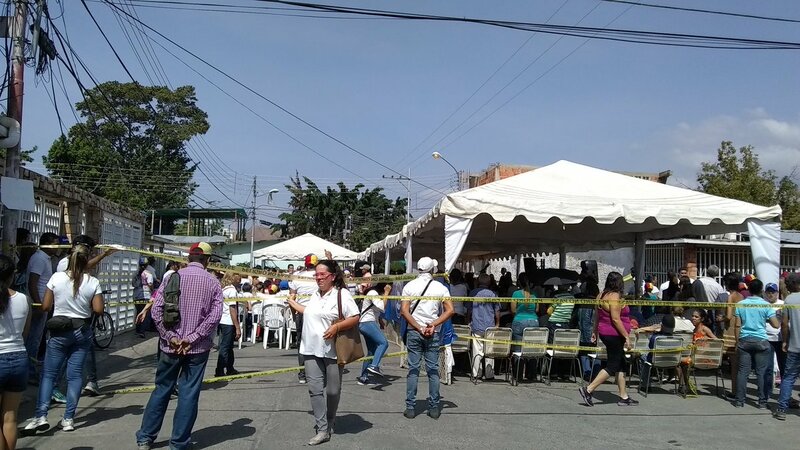 These are the workers who installed awnings, chairs and sound in the pilot humanitarian camp held this morning in Maracay. 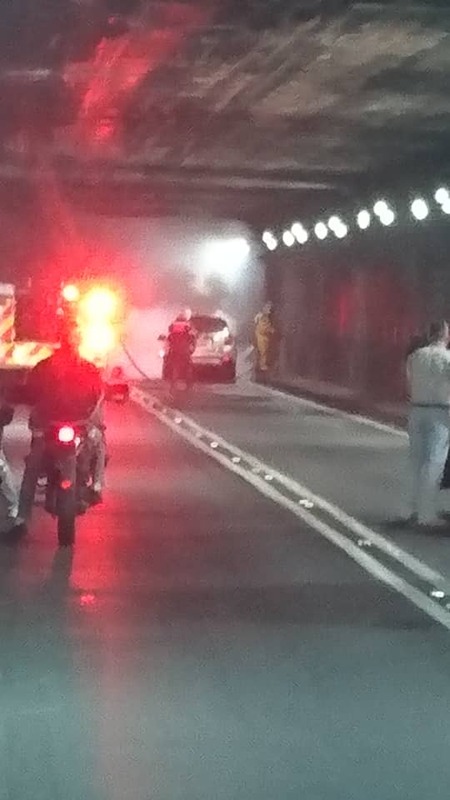 Retained vehicles and work tools. 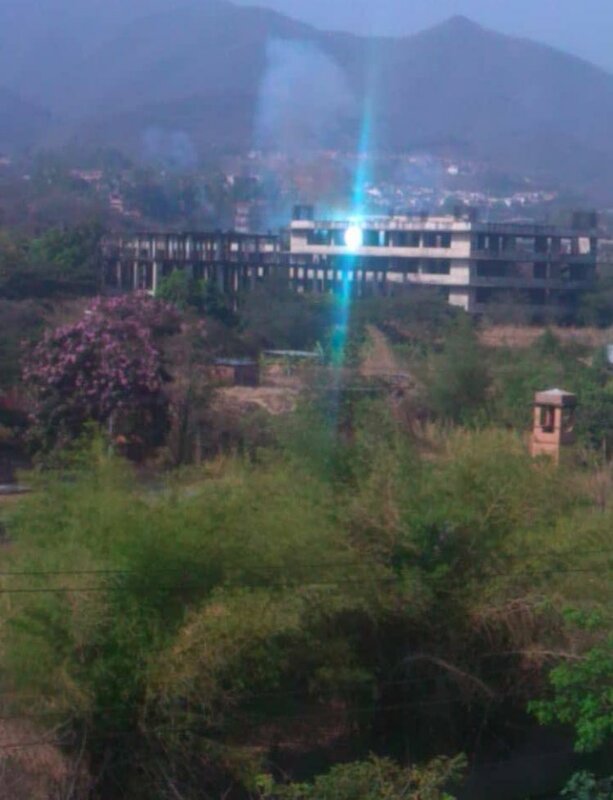 [email protected]: "Next Saturday aid will start to enter Venezuela". 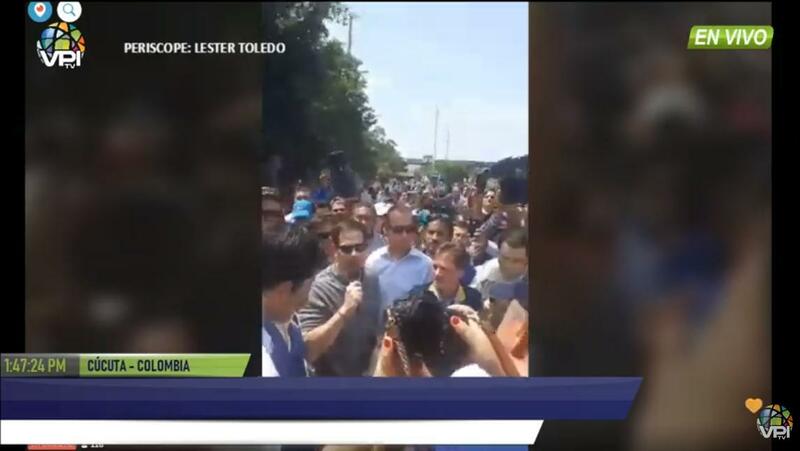 Cucuta: Senator Marco Rubio, (@marcorubio) "The whole world is with you Venezuelan brothers, I only ask you not to lose strength or determination"
Cucuta: Francisco Santos, Ambassador of Colombia: "It is a moral duty, you see here the people who pass to the bridge dying of hunger". 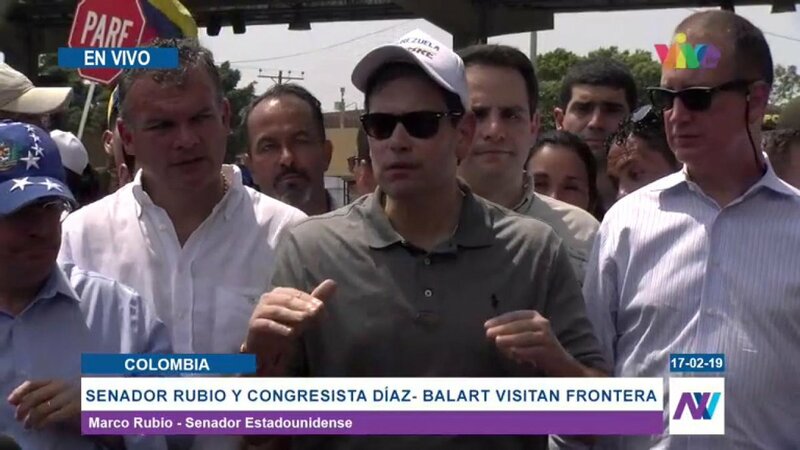 Senator Marco Rubio arrives at the Simón Bolívar Bridge, on the Colombian-Venezuelan border. 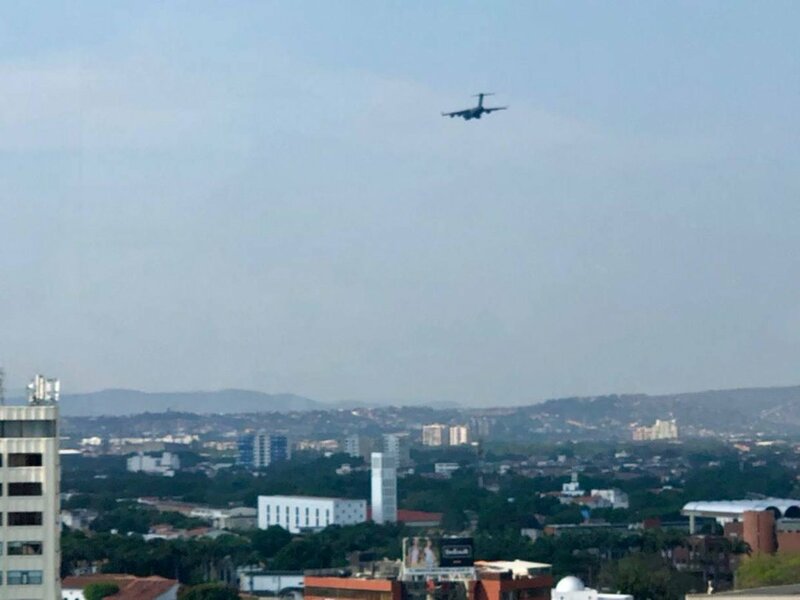 Marco Rubio is coming to Cucuta.